Want to own a Strucket & Win $1000 in cash? | Strucket - strainer, meet bucket. WIN: Want to own a Strucket & Win $1000 in cash? Yes, that is right! To celebrate the launch of the Strucket in Australia we are giving away a Strucket of Cash to one lucky person! Be a Winner. Enter here, now. It is hard to believe that some things do not already exist... especially when it is as ingenious as a strainer bucket that lets you soak, separate and drain without having to touch the residual toxic, unhygienic, dirty water! The Strucket is a first-of-its-kind, soaking solution created on the Sunshine Coast, Qld, by mum-of-three Kelly Lavery. “International patent rights pending” – we always wanted to say that! The Strucket is an everyday solution to make life easier for anyone with anything to soak! 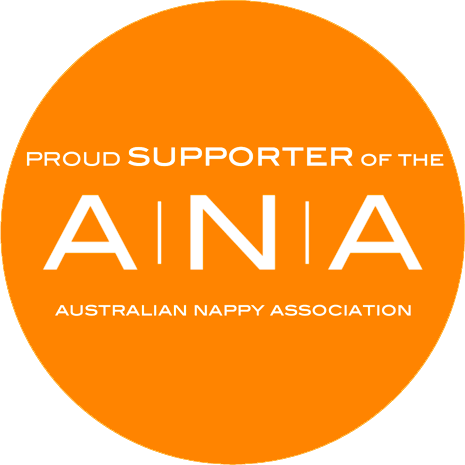 There are currently 3.75 billion disposable nappies becoming landfill across Australia and New Zealand every year! The Strucket reduces the strain on Mother Earth by reducing the hassle of cleaning cloth nappies (and all other the other things you soak) through its easy soak, separate and drain system. It’s sustainable for the earth and your wallet. The revolutionary strainer meet bucket system is designed to ensure you no-longer need to touch dirty, unhygienic, toxic water again. Perfect for sensitive skin and anyone who doesn’t love grime, the Strucket allows you to easily separate and drain with the inbuilt strainer and plug systems. Your hands never, ever touch dirty (or smelly) water! Created by local Sunshine Coast mother of three Kelly Lavery, the Strucket is Australian designed and manufactured. 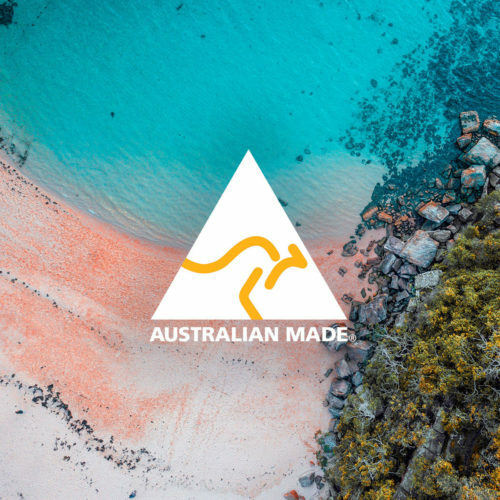 Every time you use your Strucket you are supporting the Australian economy and helping to create and sustain local jobs! The Strucket is a soaking system that makes soaking simple and easy. From nappies, bibs and baby clothes to sheets, toys, dad’s golf balls, and the fruit & veg... The Strucket can be used inside, outside, for the kid's stuff, the dad's stuff and the pet's stuff - there are infinite uses across the whole house. Check out some of our favourite things to Strucket here! WIN $1000 Cash in a Strucket from Strucket. 3. The promotion commences at 10-00AM (AEDT) on 8th October, 2018 and closes at 10:00am (AEDT) on the 30th of November, 2018 (Promotional Period). 4. The promotion will be conducted online via the Promoters website and social media channels including Facebook and Instagram. Entry will be available via the Promoter’s Website (www.strucket.com.au) on the Win a Strucket of Cash page. All entries received during the Promotional Period will be grouped together for the purpose of awarding one prize Nationally in Australia: A Strucket and $1000 cash. fully and correctly complete the entry form, including providing the Entrant’s full name, mobile telephone number, current and valid email address. 6. Multiple Entries are available as per outlined conditions of entry on the promoter’s website and competition page. 9. The first eligible entry randomly drawn from all entries received during the Promotional Period will win one (1) Strucket filled with $1000 cash. 10. The winners will be contacted by the Promoter to arrange for delivery of the prize to their usual residential address. Delivery of a prize is subject to availability, but is anticipated to be within twenty-eight (28) days from the date a winner is notified that they have won. 12. The total prize pool value is: $1059 The prizes are not transferable or exchangeable and cannot be taken as cash (unless otherwise indicated). The prizes must be taken as offered and cannot be varied. The prizes cannot be used or redeemed in conjunction with any other offer. The Promoter accepts no responsibility for any tax implications that may arise from prize winnings. Independent financial advice should be sought. The Promoter accepts no responsibility for any variation in prize value. All prize values are the recommended retail price including GST. 14. The Promoter may conduct an unclaimed prize draw for each State Group which will take place at (insert address), as is necessary on (date and time) in order to distribute any prize(s) (if any) unclaimed by that date, subject to any written directions given under applicable State or Territory legislation. In the event of any winner(s) in the unclaimed prize draw, the winner(s) will be notified in writing (email) and by phone. All reasonable steps to notify the winner(s) of the results of the unclaimed prize draw (if any) will be taken by the Promoter. The Promoter’s decision is final, and no correspondence will be entered into. 22. If the Promoter collects an Entrant’s Personal Information, the Promoter will provide or display to each Entrant, at time of entry into the promotion, a collection statement that details the Personal Information being collected, the purpose of its collection, where the Personal Information will be stored and how it will be shared with third parties. The collection statement will comply with the Promoter’s disclosure obligations under the Privacy Act 1988 (Cth) as amended by the Privacy Amendment (Enhancing Privacy Protection) Act 2012 . 24. In these Conditions of Entry: “Australian Consumer Law” means Schedule 2 of the Competition and Consumer Act 2010 (Cth). “Personal Information” means, for the purpose of the Privacy Act 1988 (Cth) as amended by the Privacy Amendment (Enhancing Privacy Protection) Act 2012, information or an opinion about an identified individual, or an individual who is reasonably identifiable, whether the information or opinion is true or not and whether the information or opinion is recorded in a material form or not. Get a strucket. Touch less mess. 5 Steps to keeping the kids uniforms stain-free and fresh all year long. Buy your Strucket by Monday to make the first delivery. Want to own a Strucket & Win $1000 in cash?